How many hours of my life were spent playing Pac-Man? I am guessing there are too many to count! Video games have come a very long way since the days of classic Pac-Man. This is a great collectible for those who loved, and still love, the classics. What else did we find in the box? 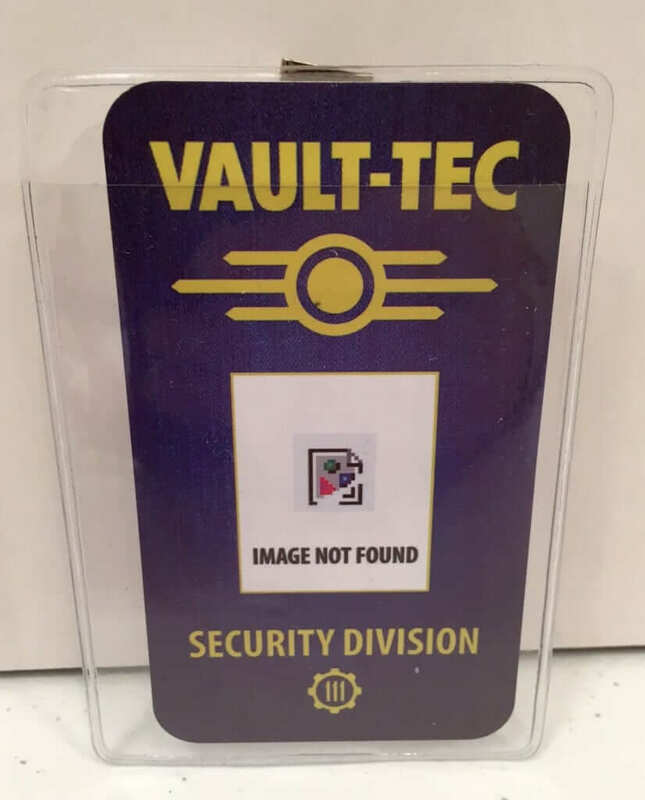 Don’t forget when you get your box to go to GeekFuel.com/UnlocktheVault and use your technician ID and Clearance # to see if you won a Fallout Giveaway! When you unroll this poster, it may take a little while to get it flattened out, but that is only because it is made of a quality, thick paper and will most likely last your longer than the thinner posters out there. 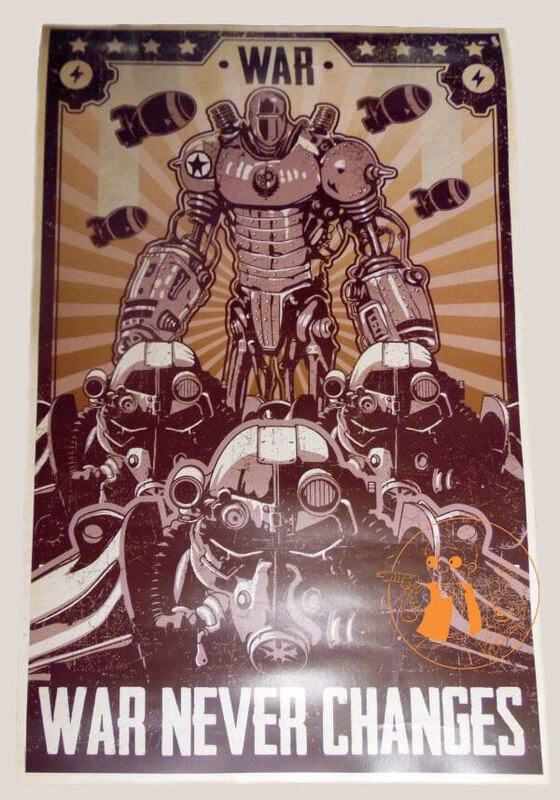 This is a great poster for the Fallout collector! 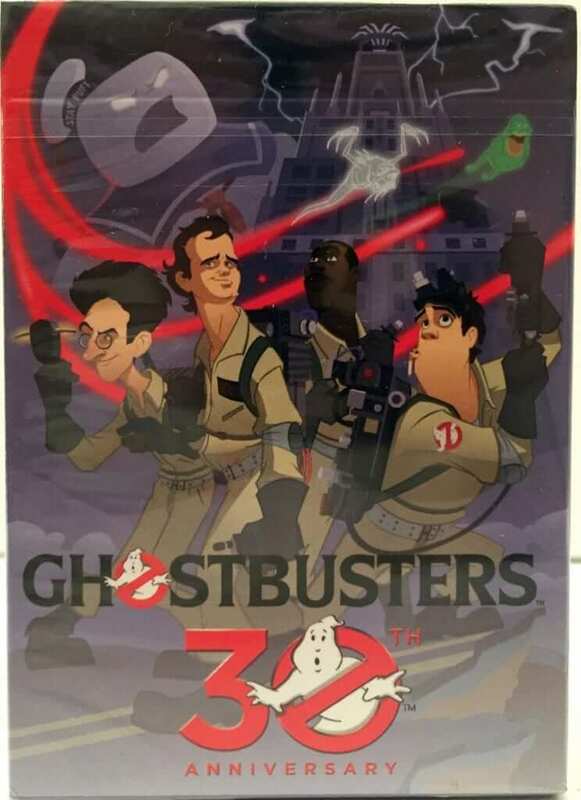 Last year, Ghostbusters celebrated the 30th Anniversary of their original movie and Geek Fuel has included a special edition box of playing cards that commemorates this anniversary. Now for some of the REALLY cool stuff! 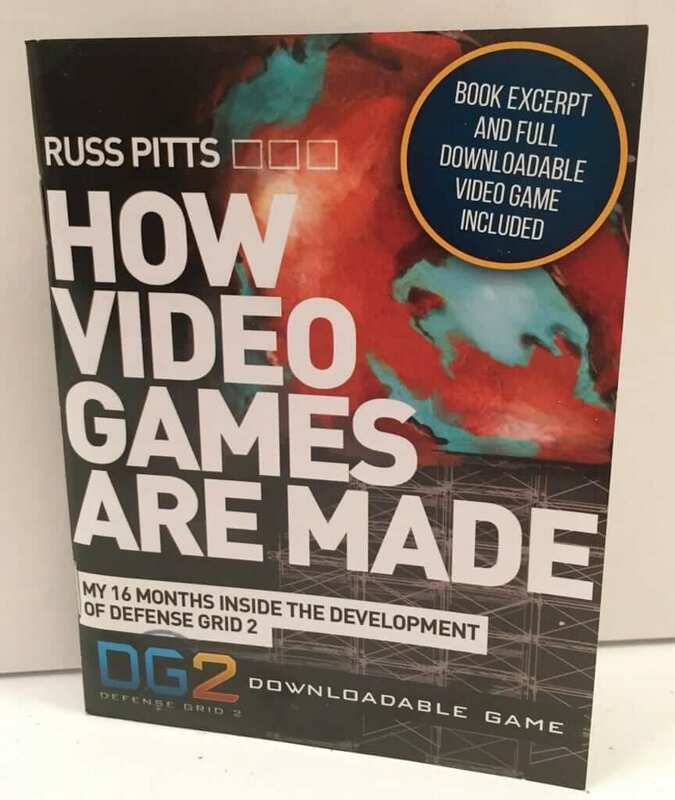 Geek Fuel usually gives a free, downloadable, video game and this month not only did we get the game, we got a book entitled, “How Video Games Are Made.” The free game is called, DG2: Defense Grid 2, and in the book, Russ Pitts gives an inside view of the development of this game. Pretty Cool! What is a Geek Fuel box without a shirt? I believe there are many people who subscribe to these boxes purely for the shirts and the other stuff is just a bonus! 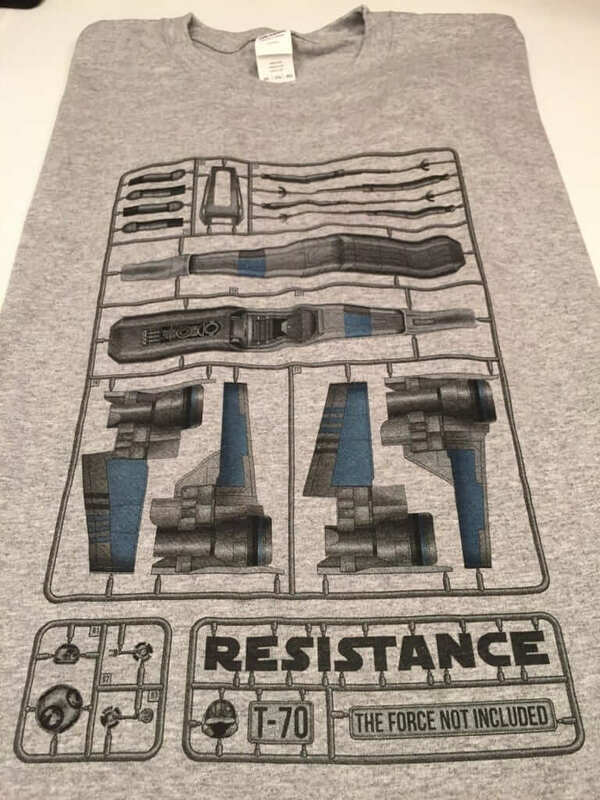 This month, Geek Fuel did not disappoint with this Star Wars themed shirt. With the new movie coming upon us, it is only appropriate to have a new Star Wars t-shirt! 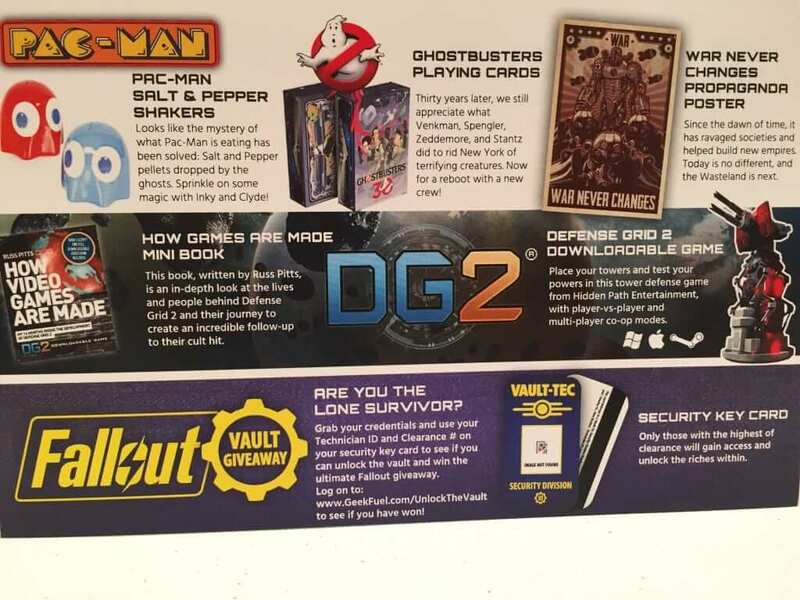 Of course, we always look forward to the Geek Fuel Magazine. This box contained a sticker to match the cover of the magazine featuring, Hunger Games: MockingJay, which is now in Theaters. 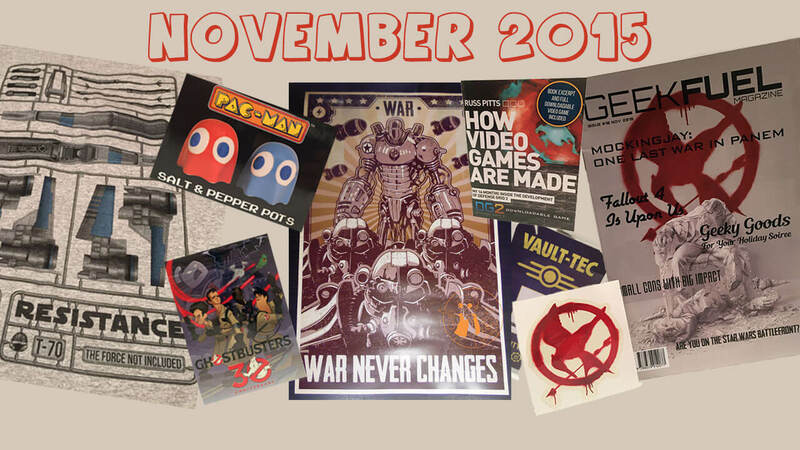 Overall, the November Geek Fuel box had a variety of really cool items from some popular movies and games. If you hurry, there is still time to get this box! Head over to Geek Fuel and make sure to you our referral link to save $3.00 off your first box. 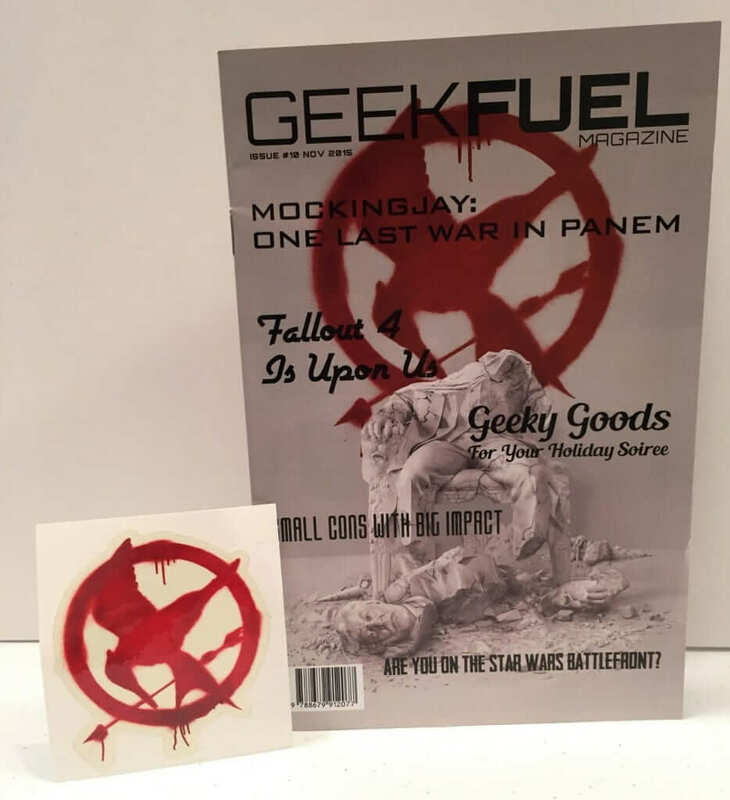 GeekFuel offers a monthly subscription, for $17.90 + S&H, which comes with a box packed with limited edition toys, collectibles, games, comics, stickers, buttons, and other fun stuff. While the contents vary by month, you will ALWAYS get an exclusive t-shirt in your shipment.